Yanagi Sushi is located on Kapiolani Blvd in Honolulu, Hawaii. 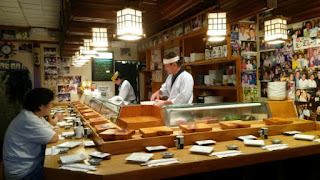 A popular spot amongst locals, it's all but recommended to get to this place early. 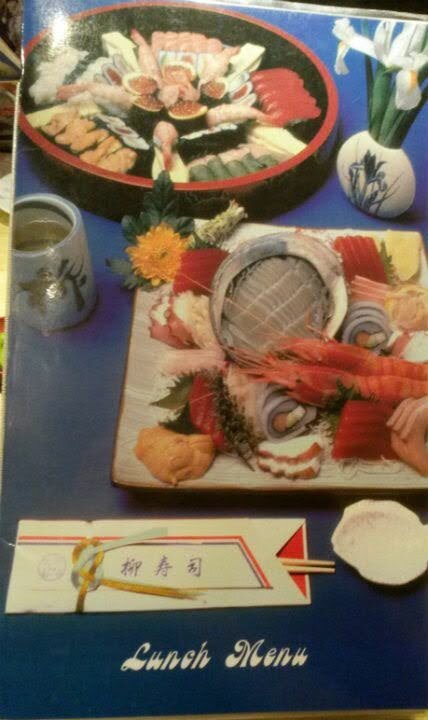 It's also recommended that you make a reservation. 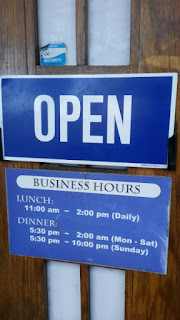 My family and I arrived right when they opened on a Saturday (11 AM), and by the time we left, the small parking lot was completely jammed. There is complementary valet parking. Otherwise, you may have to find a spot on one of the side streets. 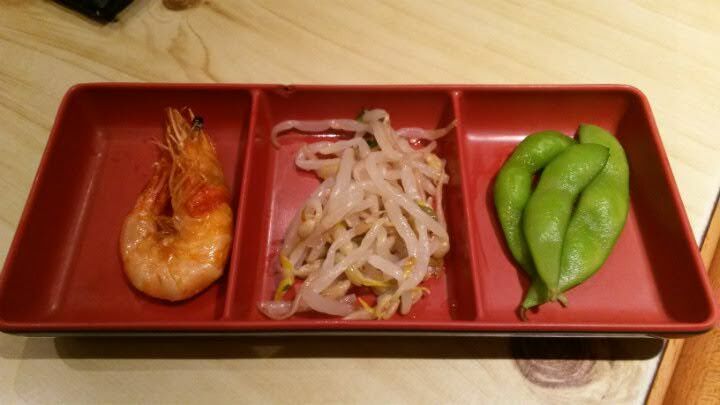 Appetizers start with pickled vegetables, shrimp, edamame, and sprouts. 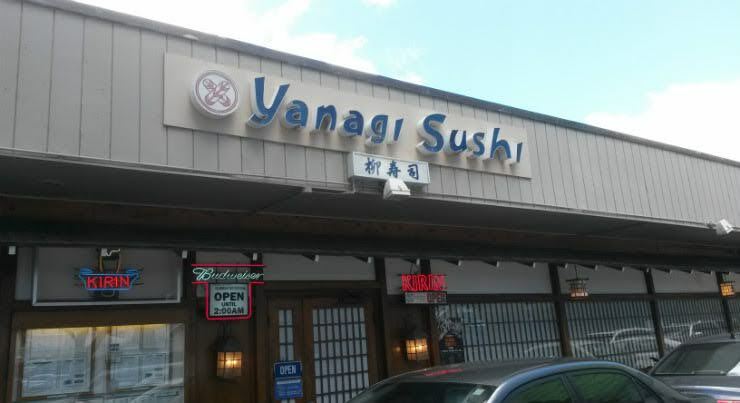 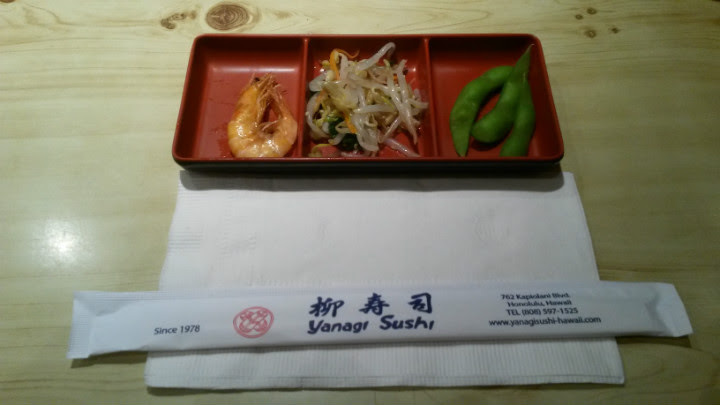 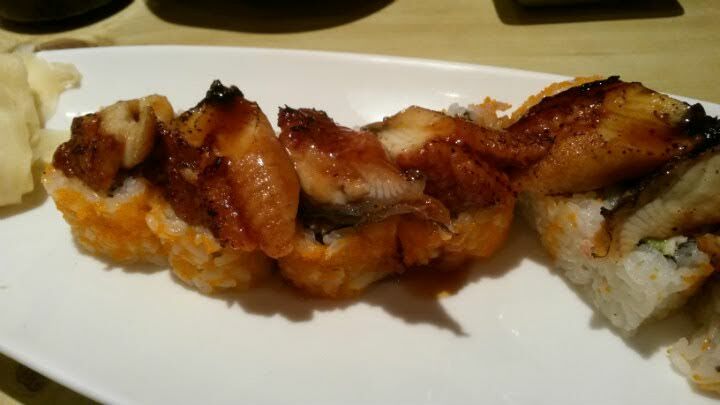 Yanagi is known for their combination meals, lunch specials, and sushi rolls. 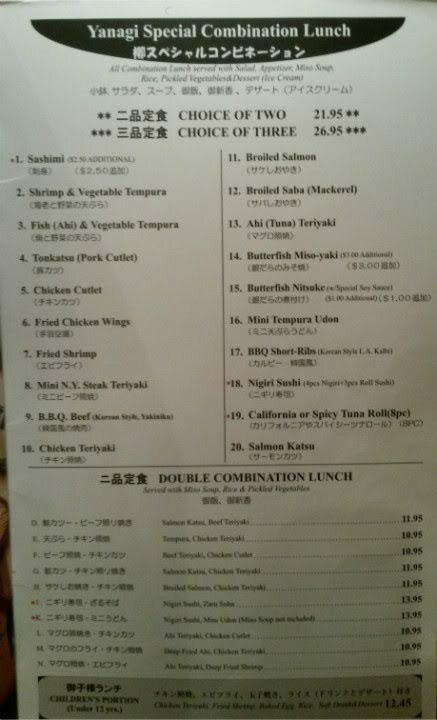 There are separate sushi menus and drink menus. Alcoholic beverages include the usual Japanese and well-known domestic beers, sake, wine, and champagne. 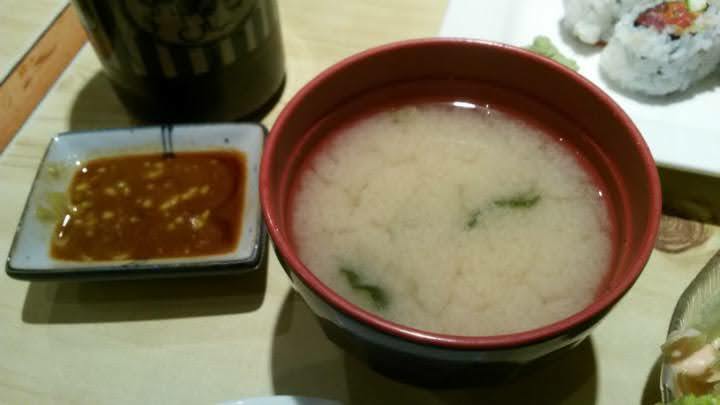 There are various types of miso soup on the menu. 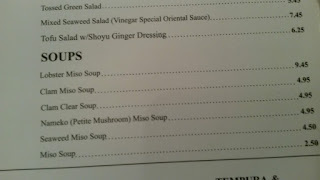 There's even a lobster miso soup. 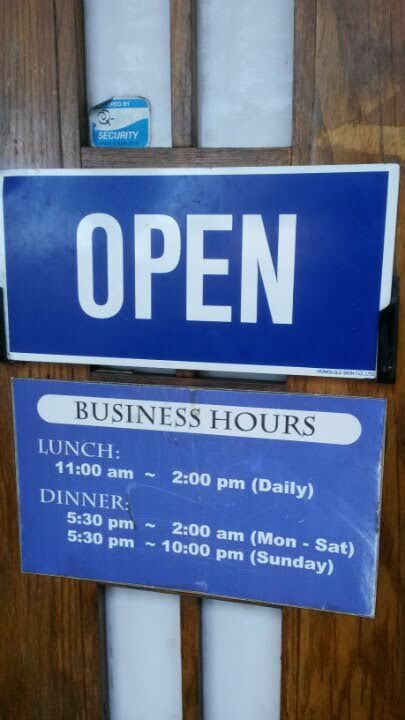 Never heard of that one before. 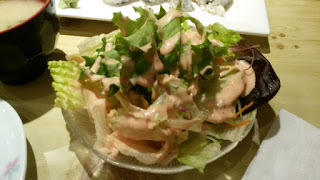 The salad here is decent, yet I think there was a bit too much dressing on this visit. It was likely 1000 Island dressing or an equivalent. I got their "H" combination lunch ($11.95) which featured broiled salmon and teriyaki chicken. 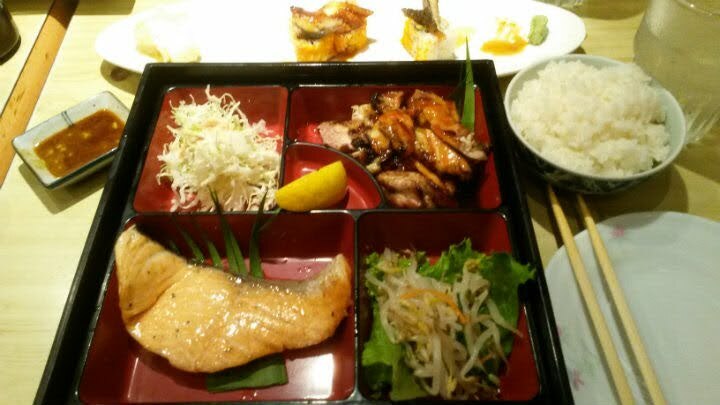 The combo meal comes with miso soup, rice, and pickled vegetables. 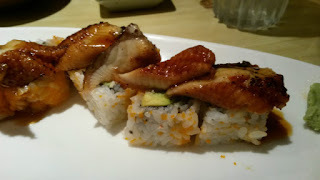 The salmon was my favorite part of the meal, just delicate, juicy, and buttery-like in nature. 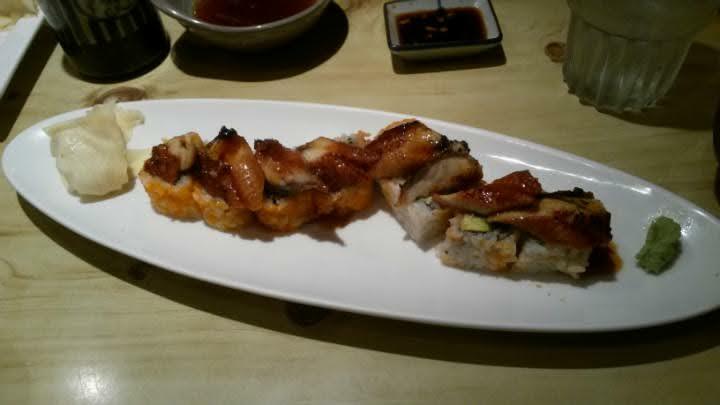 The teriyaki chicken was also great, yet I kept pulling the skin off each piece of chicken. 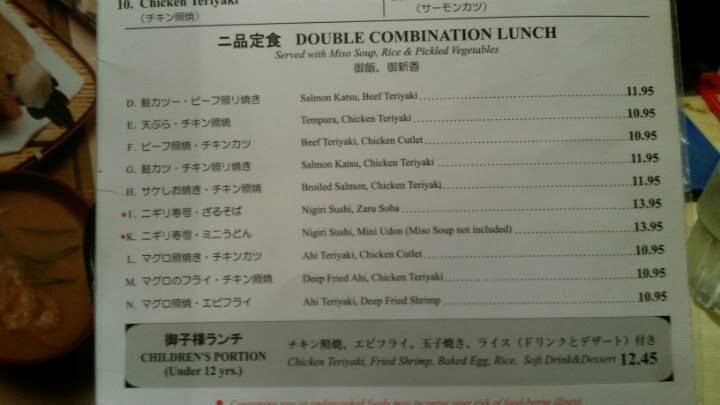 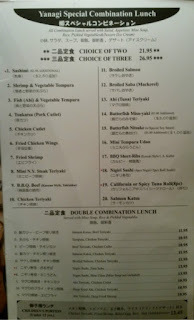 My dad had the "L" combination lunch ($10.95) with ahi teriyaki and chicken cutlet. 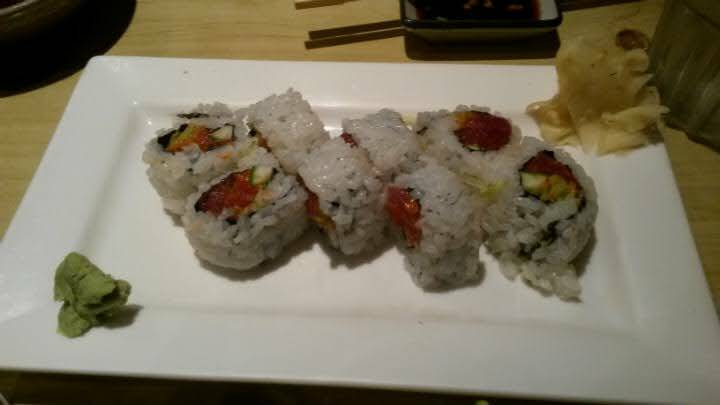 Soft, flavorful ahi. 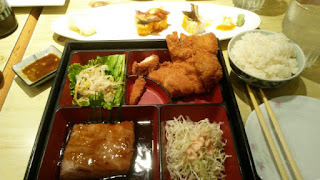 The cutlet had a lovely crispy exterior with the chicken inside still juicy. 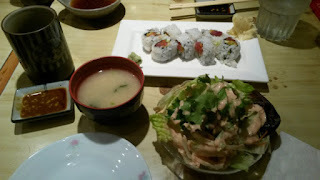 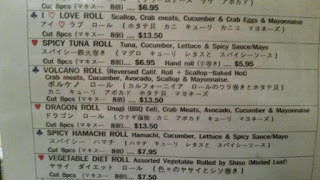 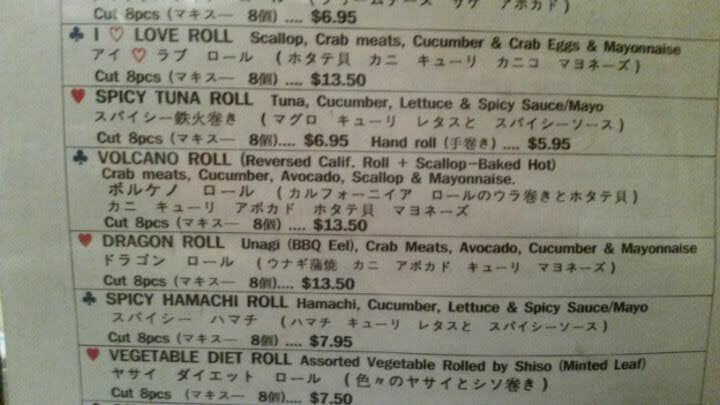 Yanagi has a very good Spicy Tuna Roll ($6.95) that includes a generous amount of tuna. Yanagi's Dragon Roll ($13.50) has thick pieces of unagi (eel) on top of what would otherwise be a California roll (crab, cucumber, avocado, and mayonnaise). Another wonderful choice. Since pandas also want dessert, I got a scoop of Kona Coffee Ice Cream. 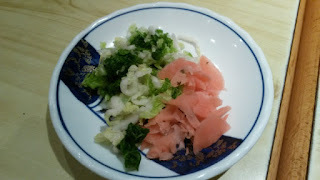 Might as well, since we would likely have to venture to an Asian market to get such an ice cream in the Pacific NW. An awesome treat here that brought me back to my childhood. 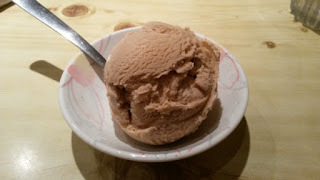 Yup, I was eating Kona Coffee Ice Cream even in grade school. 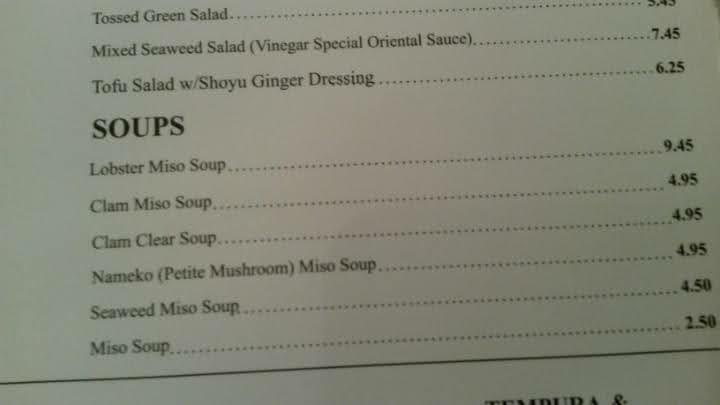 No wonder I'm a short panda.